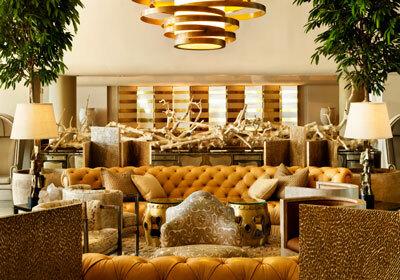 Furniture upholstery Los Angeles and Custom furniture upholstery with over 100,000 designer fabrics available for you. At Wall upholstery Los Angeles, you have thousands of design choices at your fingertips, you may choose the fabrics and features you have always dreamed about your custom made furniture. At our location you will find a huge impressive product selection with over 100,000 upholstery fabrics in samples and catalog for you eyes. Our furniture upholstery service in Los Angeles can help you transform your tired, old furniture into something new and unique furniture in your home, apartment or mansion. 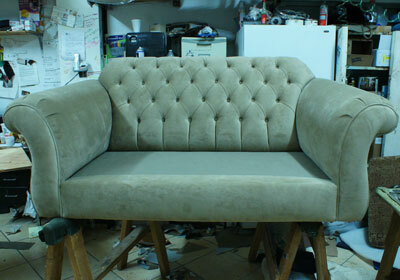 Reupholstering saves money and gives a furniture (sofa, chair, sectional) a custom new antique or modern look! 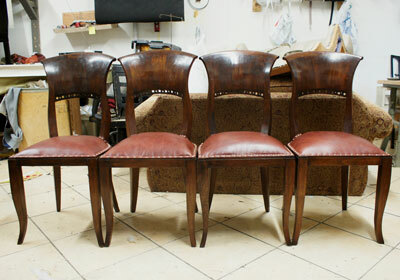 What ever you have, you will be impressed about our perfection job made in your furniture. If you have a special master piece (sofa or chair) of quality made that is in need of repair, do not replace it with costly new expensive fake furniture (maybe made in China with fake fabrics and materials) simply have it reupholstered or slip covered by our craftman with new upholstery materials made in USA. We care our quality materials we use in any project for your satisfaction. Custom upholstery and reupholstery for all furniture, including residential and commercial projects. Dinning chairs upholstered in Los Angeles CA. By Manuel Lopez.